Choose Your Speed and Go with Bowflex TreadClimber TC10. Restore and boost your energy while sculpting your abs and legs with the TC10, our most affordable powered TreadClimber cardio machine. It features an easy-to-read display where you can monitor your speed, time, distance, and calories burned. Just set the speed and go! ToughTrain 4 out of 5 An average machine with affordable cost. Well suited for normal cardio exercise. Fitrated.com 4.5 out of 5 The Bowflex TC10 is a very popular happy medium choice because it has more features than the intro-level TC5, yet cheaper than the high-end TC20. *Note: Most of the sites, stores or shopping portals listed above sell Bowflex TreadClimber TC10 with discounts and other exciting offers. 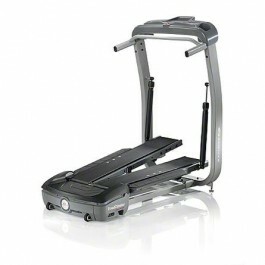 There is a possibility that the some of above websites are not selling Bowflex TreadClimber TC10 now. Toughtrain.com is not liable for such cases or instances. Also we do not recommend any seller for Bowflex TreadClimber TC10 and a buyer should buy from where he/she gets best deal with quality of products, service and on time delivery (shipment).